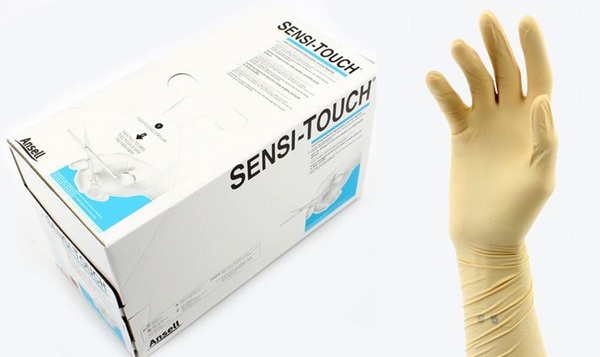 Ansell Sensi-Touch powdered surgical gloves with a straight, reinforced non-beaded cuff for extra coverage and protection on the forearm. The glove’s latex formulation provides superior strength, and its design helps to reduce hand fatigue. Hand-specific, sterile, powdered, ivory-colored gloves with a smooth surface. Intended for single use. 12.9" in length with a 0.24mm fingertip thickness. Sold 50 pairs per box.